Identifying the pros and cons of metal roofing for your specific application will, of course, include special challenges and considerations, unique to your home or building project. 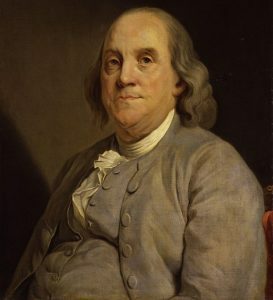 As a place to start, we invite you to use Benjamin Franklin’s famous Pros and Cons decision-making tool to help you choose your next roof. Here’s a list to help you get started. This isn’t an exhaustive list of metal roofing pros, but it may contain a few surprises. There are many benefits to a Classic Metal Roofing System, and some may be more important to you, than others. We encourage you to identify what’s right for your home. Because metal roofs do not degrade the way that most roofing materials do, a properly installed and specified quality metal roof will end your periodic “budget drains” for roof repairs or maintenance. Most metal roofs feature panels that interlock or interconnect in some way. This provides superior wind resistance compared to other roofing materials that just overlap or depend upon gravity to hold things in place. As structures age, low weight roofs help to guard against structural movement and damage, particularly in areas prone to seismic activity. Metal roofs are the lowest weight residential roofs available. This low weight also often allows a metal roof to be installed over existing shingles, eliminating landfill disposal. Through reflective coatings and integrated thermal breaks, metal roofs often reduce summer cooling costs by up to 20% or even more. Metal roofs provide lasting resistance to airborne sparks and embers, protecting from exterior fires. Metal roofs can be very adaptable to most any roof and home design. There are products for low and steep pitch roofs, products that look like wood shakes, slate, and tile, and even products well-suited for rounded or arched roofs. Many roofing materials rely on failure-prone sealants for difficult areas such as flashings, dead valleys, and transitions. With metal roofing, though, those areas can be flashed with matching metal – far more long lasting and reliable than sealants and adhesives. 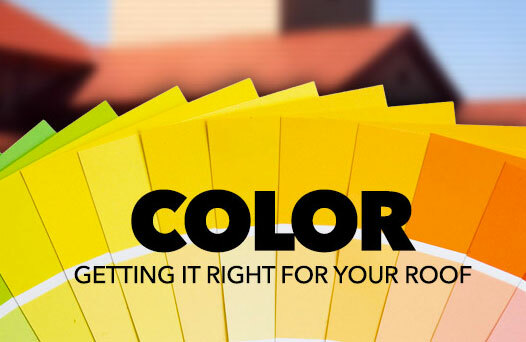 Traditional roofing materials tend to have frequent color and style changes, making it difficult to match older products if the home is added onto or modified in some way. Most metal roofing manufacturers are very consistent with their designs and colors, helping homeowners know that they will be able to add to their roofs at later dates. Metal roofing adds lasting distinction and beauty to a home. Other roofing materials begin a deterioration process from the first moment of installation that affects their looks over time. Metal roofing, on the other hand, can keep a very fresh “new roof” look long into the future. Depending on the product you choose, a quality metal roof should have recycled content from 35% – 95%. Additionally, at the end of its useful life, a metal roof should be 100% recyclable rather than require landfill disposal like other roofs. There aren’t many, but each roofing application and choice of materials has its challenges. Here are the top 5 cons to choosing a Classic Metal Roof. Because metal roofs are carefully flashed to meet your roof configuration, the installation process can be longer than with standard shingles that rely heavily on sealants and mastics. Most metal roof customers consider themselves to be in their “forever homes,” making it easy for them to justify what is a higher cost for a higher quality product. Energy savings can also play a significant role in the eventual payback. While the sound of rain on a metal roof is not what some people envision, it can be a slightly louder rumble or decibel level. It should never be “tinny” though unless perhaps you’re near an open window with very light rain. The folds and bends put into the metal break up the “soundboard” effect. If a homeowner has areas of their home with great noise sensitivity, steps can be taken when the roof is installed to keep it extra quiet. The sound of rain on a metal roof will never be nearly the level of that from rain hitting a skylight. The best thing about metal roofs regarding hail resistance and walkability is that they maintain their impact resistance as they age. Other roofing materials tend to soften or even become brittle with age, making them more prone to damage. Metal roofs can be walked, and manufacturers will provide instructions for doing so. Heavily formed metal roofs actually can be the most easily walked and can also mask any minor indentations that may occur. Some products have optional strengthening backer boards for increased rigidity. If you don’t like people asking about the curb appeal of your house, a metal roof may not be for you. Metal roofs tend to have great visibility and, on your home, a metal roof will attract interested folks who will want to talk to you about it. 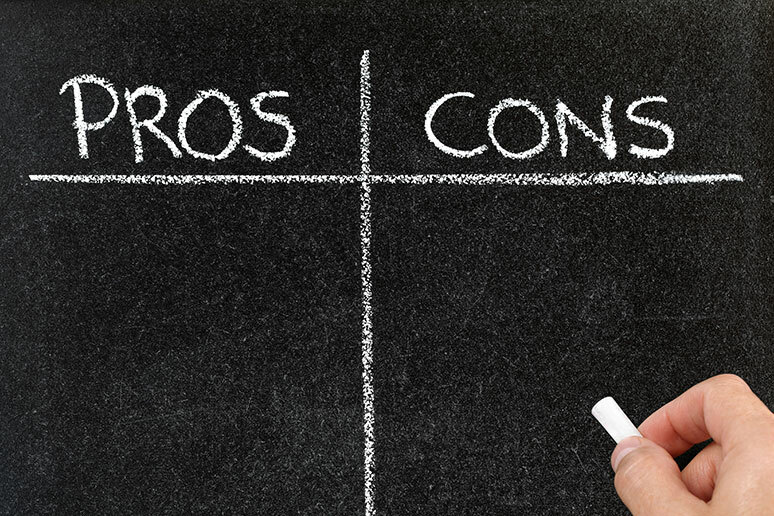 Download this list of metal roofing pros and cons and add your own personal pros and cons. When it’s time to decide on a new roof for your existing or new home, it’s important to take time to make the right decision on the materials, the contractor and installation. Congratulations on doing your due diligence of research. To learn more about making any roofing decision, we invite you to email our company President, Todd Miller through his informative collection and dispensation of helpful advice on all things roofing, AskToddMiller.com.